First of all, our host Marin was amazing, he will go extra mile to make your arrival and stay as comfortable as possible, thanks again Marin. Second of all Clean, newly renovated studio, with pretty decor. Two minutes walk to old town center, Quite and safe street away from crowds. I loved the bakery on the first floor , smelled so good I’m the morning on the balcony. The best place to stay in Split. Marin waited for us to give us the keys. We found free parking opposite the flat. Excellent studio with all facilities. Very comfortable and lot’s of amenities. Wifi connection excellent and good water pressure. Supermarket and bakery down the flat. We would definitely stay again at the same flat if we ever come back to Split. Walking distance to old town and ferry!!! Thank you Marin!!! Beautifully done up house with all needed amenities. Host was very welcoming and waited for us to reach and helped us with our luggage too. Will surely recommend this place for anyone visiting Split! Thank you. Well placed. Extremely homey. Clean. Loved it. Hosts were kind and took care of everything. Confirm the arrive time many times and clean environment，have a bread shop and market downstairs. Thought this was great value! Really helpful and friendly hosts, far more facilities in the room than you get at a hotel (we stayed in the apartment) and at a better price. The location was fabulous as you literally are a few streets from the old town of split. Would stay again and reccomend. 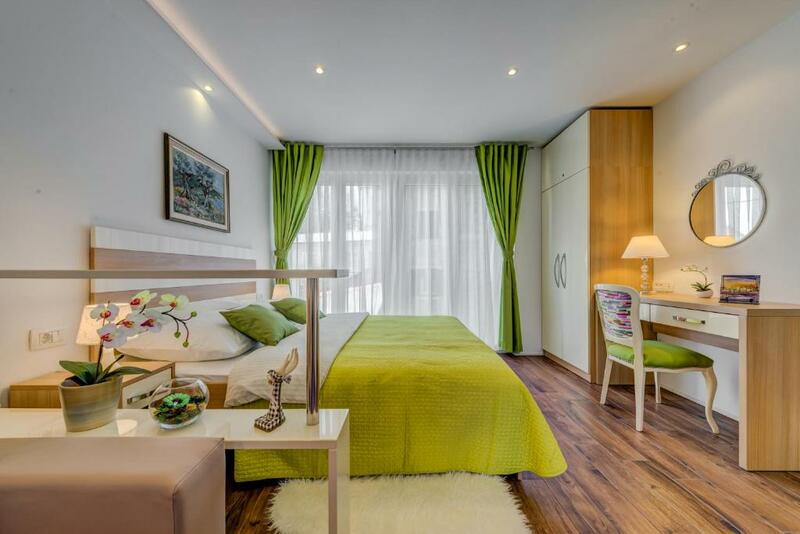 Great apartment, near the old centre of Split. Everything we needed was there. We especially liked the dishwasher and cozy balcony. The host is very friendly and helpful. The owners of the apartment took special attention to us and guided to find a car park. The hotel is located in main tourist location and well maintained. It was like staying at home. The host was very nice and helpful. We were delayed by the rental car company, the host spent extra time waiting for us. We went by car, the street was extremely narrow and it was impossible to find a parking lot in the evening. The host helped to occupy one slot, we were very thankful. The location of the apartment is very good. Just 5-min walk, we were in the inner city. 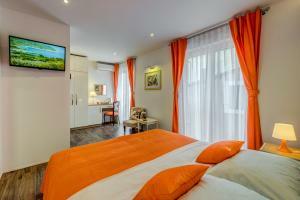 The apartment is not particularly spacy but well equipped, with nice style and cleanliness. Shower is also very good. 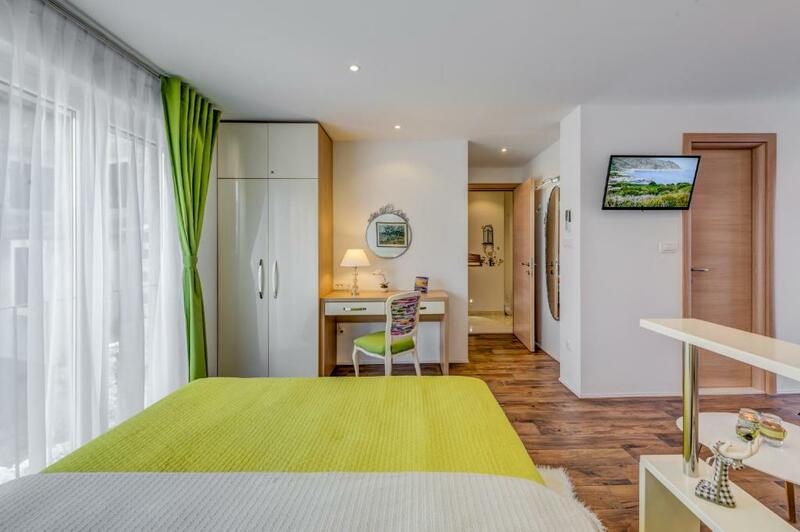 Lock in a great price for Room&studio Apartment Just Enjoy – rated 9.7 by recent guests! Room&studio Apartment Just Enjoy This rating is a reflection of how the property compares to the industry standard when it comes to price, facilities and services available. It's based on a self-evaluation by the property. Use this rating to help choose your stay! 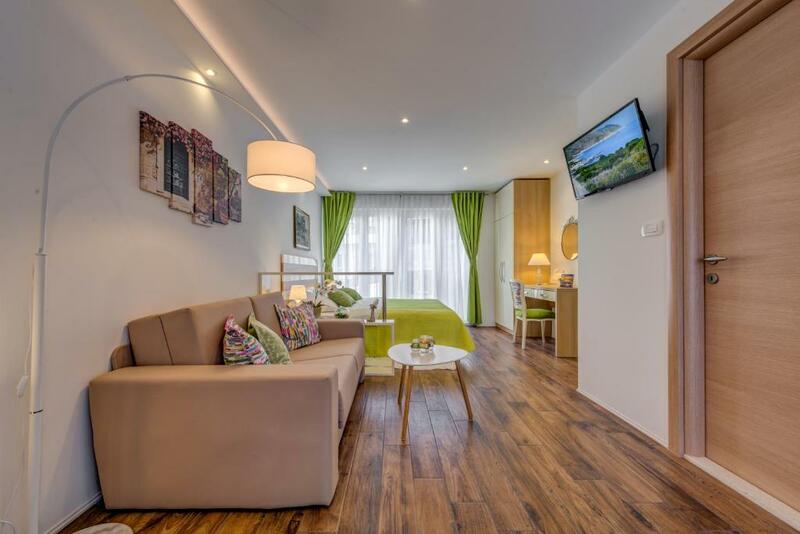 One of our top picks in Split.Featuring air conditioning, Room&studio apartment just enjoy offers accommodations in Split. Diocletian's Palace is 1,300 feet away. Free WiFi is featured. 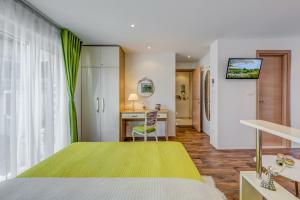 All units include a flat-screen TV with cable channels. There is a seating and/or dining area in some units. A fridge and kettle are also provided. There is also a kitchen in some of the units, fitted with a dishwasher and microwave. 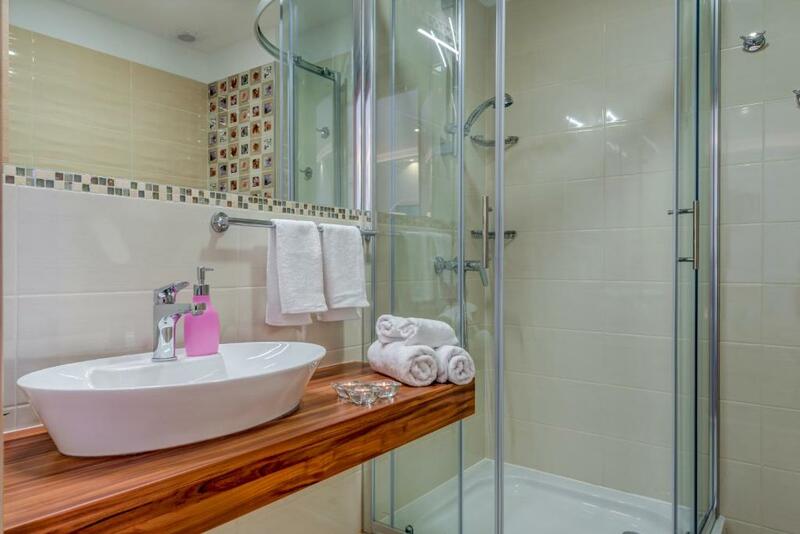 Each unit is fitted with a private bathroom with free toiletries. Towels and bed linen are available. Gregory of Nin is 1,000 feet from Room&studio apartment just enjoy, while Split City Museum is 1,300 feet from the property. The nearest airport is Split Airport, 7.5 mi from Room&studio apartment just enjoy. When would you like to stay at Room&studio Apartment Just Enjoy? This studio has a sofa, flat-screen TV and seating area. Komunikativna i vesela osoba..stojim vam na raspolaganju za pitanja i pomoc oko vaseg boravka u Dalmaciji i Splitu..
Mirna četvrt u sredistu grada..
House Rules Room&studio Apartment Just Enjoy takes special requests – add in the next step! Please inform Room&studio Apartment Just Enjoy of your expected arrival time in advance. You can use the Special Requests box when booking, or contact the property directly using the contact details in your confirmation. Please note that check-in and key collection take place at: slaviceva 45, split 21000. 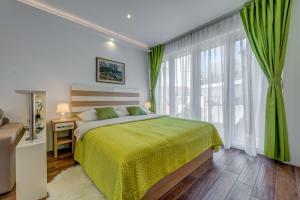 Great host,great accomodation very close to city centar. There is no dedicated parking. The apartment was clean, spacious, modern, and everything seemed new. It was also very secure, and there is a great little bakery on the bottom floor of the building - perfect for breakfast. The location is super close to the old town, which was great - just a three-minute walk. Marin whom meet us at the apartment was absolutely fantastic and the apartment was really modern and very clean. Marin was helpful with quite a lot of local suggestions that made our stay a bit more satisfying. Marin also put himself at our disposal for any questions on anything which I thought was a nice piece of customer care. I suppose if I had to be picky I could say The streets around were a little noisy as there if a car park behind and building works but to be expected if you stay in the centre. Once windows was closed etc no problem at all. Location. Value for money is superb. The street is very narrow and very difficult to park. The host was very helpful, so we have nothing to complain. Super hotel, great restaurant, great service. Highly recommended. Considering the lack of a kitchen unit the room is on the expensive side. We stayed in the room, not the studio. Very modern, clean and comfortable with everything necessary for a short (1-2 nights, longer if you do not require a kitchen unit) stay. We were greeted by Marin who despite our delay was patient, helpful and professional, and had put some much needed juice in the fridge! Great location, central but quiet due to double glazed windows.